On every Linux Based Hosting plan, You get Mysql v5 database free and no additional cost. You will also have options to use sql-lite as your database. Require MSSQL database, Please buy a MSSQL hosting plan. Linux hosting is widely used on most of the biggest portals eg.facebook. On Linux based hosting, you can host your websites with php, CGI, Perl scripts along with my SQL, SQL lite. Linux hosting is more affordable and cheaper then windows based web hosting, for windows based hosting there are licensing involved to use windows operating system and MSSQL, so cost will be little bit higher comparing Linux hosting, Linux operating systems are free and open source. Which reduces the cost of hosting. 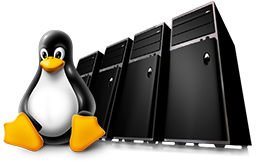 Linux hosting can be used for a basic website to a huge portal, It has the expandability to pull to any end. choose wisely before you buy a hosting plan.